Five Common Sudden Skin Problems — With Solutions! The Five Most Common Skin Emergencies — Solved! Even though you take the best care of your skin with the knowledge you have, there are times when unexpected problems occur—and they usually seem to happen at the worst possible time, right? No worries, help is on the way. 1. Apply ice for five minutes. 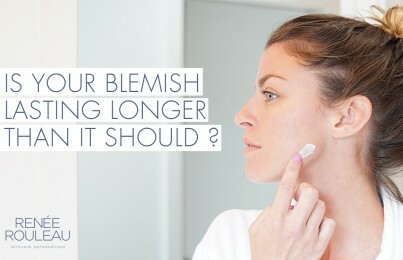 A blemish is a sign of inflammation. Applying an ice cube directly on the bump for five minutes every three hours can help reduce redness and swelling because of the cold temperature. 2. Apply a non-drying spot treatment or hydrocortisone cream. When most blemishes appear, they are in their red, swollen and inflamed stage. You’ll want to apply a soothing treatment to help reduce the appearance of the blemish. This includes either a nondrying, anti-inflammatory spot treatment like Anti Bump Solution or an over-the-counter cortisone (steroid) cream. Both of these solutions not only attempt to reduce the inflammation but they do it without over-drying and turning the area into a crusty, flaky mess. The goal with any blemish is to not only make it go away as quickly as possible but also to make it able to hide under concealer easily. 1. Take a hot shower. The shower water’s heat dilates (relaxes and opens) lymphatic vessels to assist with drainage of fluids (wastes and toxins) that build up in the vessels around the eyes. When you cleanse your face in the shower and water hits you forcefully and directly, this stimulating action encourages excess fluids to move out of the eye area to improve puffy eyes. In addition heat aiding circulation, your vertical position in the shower helps these fluids drain properly. For me, if I shower the night before instead of in the morning, my morning undereye puffiness always lingers longer. 2. After the shower, apply a cold compress. The goal now is to constrict the vessels to push the fluids out of the eye area. Do this by applying a bag of frozen peas over the eyes; keep it on for ten minutes. Repeat again in 20 minutes. You can also keep a spoon in the refrigerator, and apply that to the under eye area. 3. Lastly, massage the eye area. With your ring finger, apply a slippery eye gel like Vitamin C Eye Brightener to the eye area. Massage the skin in small circular motions upon application. The stimulation from the massage can help encourage fluids to work their way out of the eye area. 1. Keep your skin routine simple. When the skin is inflamed, you’ll only want to use basic products like a cleanser, toner, and moisturizer. Hold off on using any treatment serums, as these contain high concentrations of performance ingredients that may be too active for your skin at this time. 2. Apply a cooling gel-based mask. Gels tend to retain a cool temperature. When applied, they will lower the skin’s internal temperature to help aid in decreasing heat and redness. Additionally, gels deliver water-based hydration deep within the skin. Apply a thick layer of pure aloe vera gel or a gel mask like Bio Calm Repair Masque and leave it on for 20 minutes. When rinsed off, the skin will look and feel calmer. 3. Mix a pea-size of hydrocortisone cream in with your moisturizer. The addition of this over-the-counter cream works to reduce swelling, itching, and redness. 4. Don’t use a sonic cleansing brush when washing your face. The bristles are too stimulating and will cause further irritation. 1. Hang your head upside down for 3 minutes. You can easily do this over the side of your bed. After three minutes, you will immediately circulate fresh blood to the face to give an inner glow and wake up tired-looking skin. 2. Use a facial scrub. There’s nothing that can make the skin brighter and more radiant, in less time, than massaging a gentle facial scrub over damp skin for 60 seconds. Massage encourages circulation, and exfoliation works to remove surface cells that can make the skin look dull. Mint Buffing Beads is my go-to. I like the addition of an invigorating mint extract for an additional pick-me-up. 3. Infuse skin with vitamin B-12. Topical application of vitamin B-12 can give a boost of circulation to tired cells to give the look of brighter skin. Energy Boosting Toner is a great one to use post-cleansing. Be sure to leave it damp so your next product applied to the face locks it into the skin for maximum absorption. 4. Use a few drops of facial oil over your moisturizer. Glowing skin emits a reflective look, and a facial oil is a way to make this happen fast. Plus, if you have any dryness, it works to repair it to give a smooth surface. Pro Remedy Oil will definitely do the trick. Learn 10 easy tips that guarantee glowing skin. 1. Wash your skin gently. Instead of using a washcloth on your face, switch to a gentler option, like a baby washcloth or facial sponges. A washcloth’s rough texture can be too aggravating for skin that is already irritated and could accidentally rub away skin cells that aren’t ready to come off yet. 2. Wear SPF. A peel exposes vulnerable immature cells, so you must ensure these cells aren’t damaged by UV rays. Apply sunscreen daily on the face and neck. 3. Don’t pick at the skin. The whole purpose of a chemical peel is to “burn” off the dry, damaged surface cell layers and reveal younger-looking, healthy new cells. But to do this, the skin has to shed. That’s the part that people dislike the most. 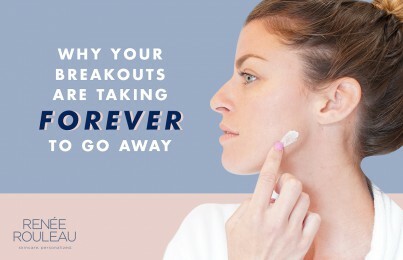 Be warned that picking off dry, flaky skin when it’s not ready to come off can result in scarring and unnecessary redness. It’s really important to be patient and let it run its course. 4. Keep the skin moist but DON’T over-moisturize. When the skin is peeling and flaky, it’s normal to want to apply heavier moisturizer to alleviate dryness and comfort the irritated skin. The whole purpose of a chemical peel is to peel. Hydrating peeling skin when it wants to shed off will just prolong the downtime of the peel. Instead, use your regular moisturizer, and let the skin do what it wants to do. If you have a special event, applying a few drops of skin oil can make the flaky cells lay down flat so they aren’t as noticeable—temporarily. Interesting in learning more? Be sure you’re not making these five skin mistakes that almost everyone makes. Can you recommend an over-the-counter cortisone (steroid) cream? Hi! Try Cortisone 10 cream, it’s available at most Walgreens. As a new esti apply for positions, what is the interview staple? Are wearing your scrubs in appropriate? I would never suggest wearing scrubs to an interview, even if that is the dress code for the facility in which you are interviewing. It’s always best to wear professional attire. It sounds like you have a damaged moisture barrier and you need to repair it by using the right kind of ingredients in your moisturizer. Read this post. You’ll find it very helpful!